Continuing last week's 'found sound' theme, our latest SampleRadar focuses on rhythmic hits and loops that have been crafted by samples that were captured in everyday life. The real-world drum samples are split into two folders: Drum hits and Drum loops. 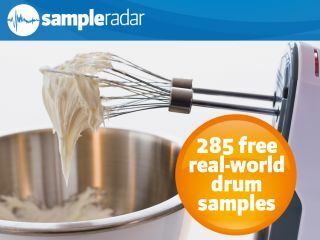 The real-world drum samples are supplied in a zip file, so you'll need to extract them before you can see them. Enjoy!